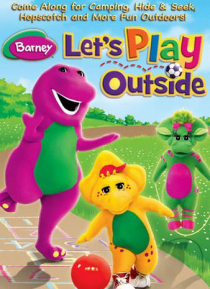 Get ready for great outdoor adventures with Barney and Friends(tm)! Join everyone's favorite purple dinosaur on magical journeys filled with fun and excitement as they branch out and enjoy the outdoors with activities, exercising, discovery and just relaxing along the way. Come along with Barney, Baby Bop and BJ for big-time fun under the stars that the whole family will enjoy.